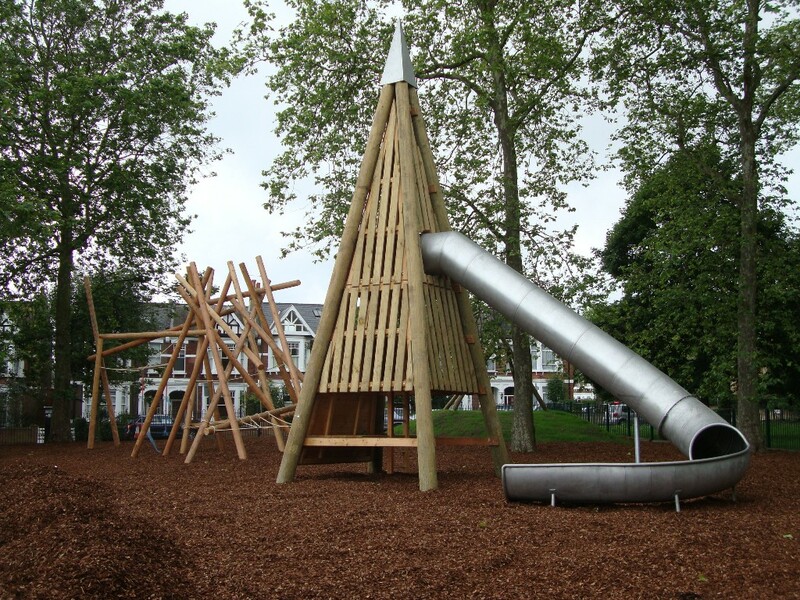 The equipment installed in phase 1 of the re-development of the older children’s playground has proved very popular, particularly with older children – it’s designed for ages 8 and above. Phases 2 and 3 will contain equipment more suitable for younger children. The City of London is working with Land Use Consultants to break down the next two phases into a series of smaller phases to aid completion and fundraising. There will be an information and fundraising stall by the cafe on 23 June. Part of the funding for this was provided by QPARA (£10,000) and part by the generosity of a local resident. To be involved in fund-raising for phases 2 and 3 contact qpplayground@gmail.com. 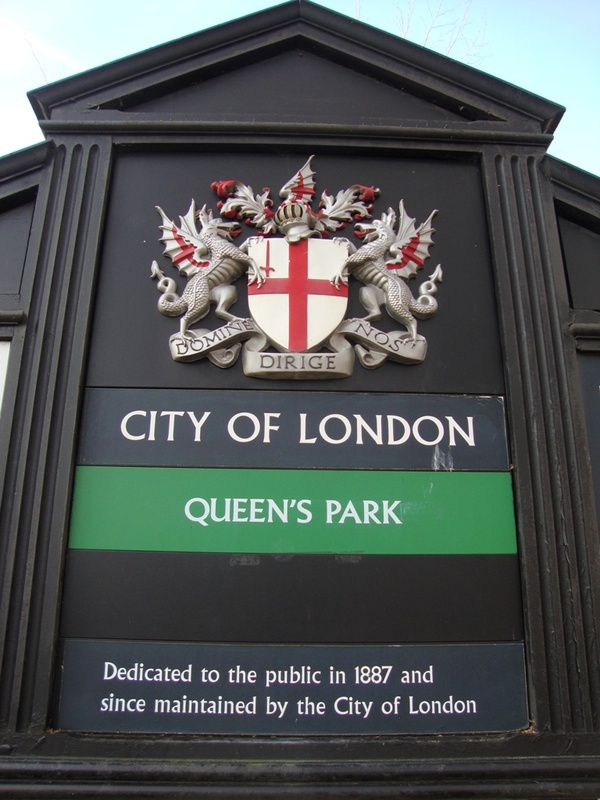 Queen’s Park was officially opened on 5th November 1887. In 1987 QPARA organised the centenary celebrations from which the annual Queen’s Park Day has grown. 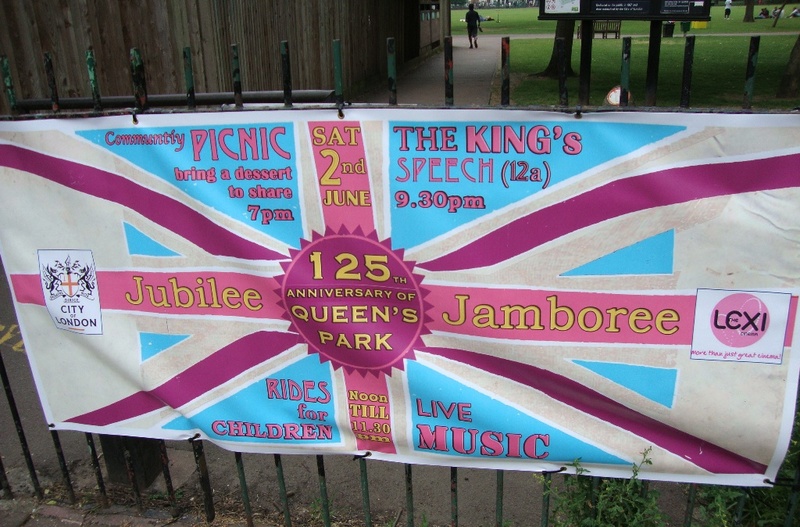 So this year the park is celebrating its 125th Birthday- brought forward a bit to coincide with the Jubilee Weekend and to avoid the risk of the mud which bedevilled the Royal Agricultural Show held here. 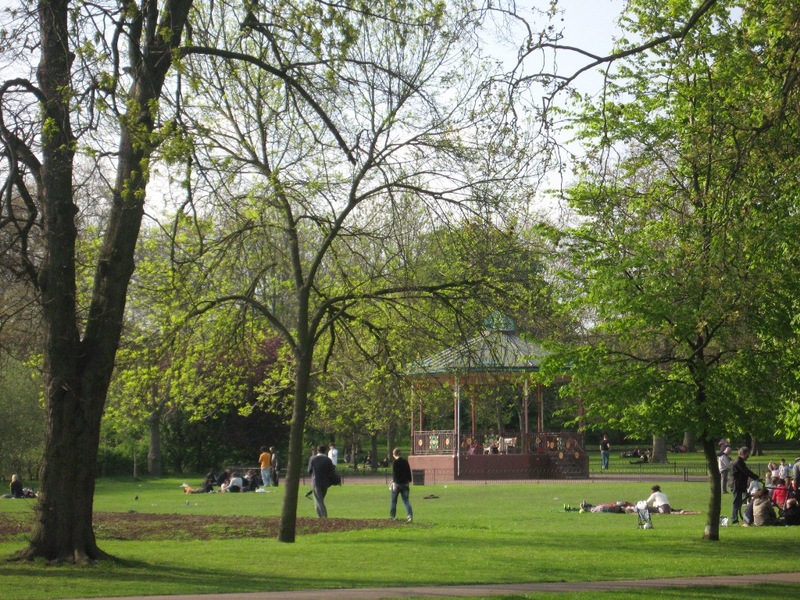 Queen’s Park is owned and managed by the City of London as one of its North London Open Spaces (along with Hampstead Heath and Highgate Wood). QPARA is in regular contact with the Park Manager, Richard Gentry, and has representation on the Queen’s Park Joint Consultative Group which meets twice a year. 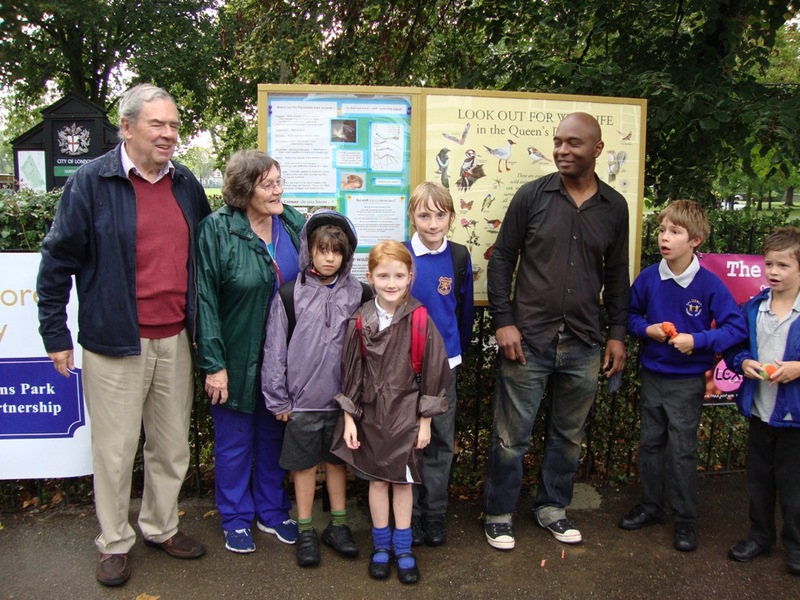 A big long term project is the re-development of the older children’s part of the playground. The playground receives around 1.3million visits per year and is one of the most popular parts of the park. QPARA has been very active in persuading the City to consider this project and we are very grateful to member Caroline Robinson for devoting much time and energy to the detail of the scheme. Right from the start Caroline argued for “natural play” and wooden equipment with different path surfaces and planted areas linking activity centres. She also requested equipment for children with special needs. In 2008 QPARA made a contribution of £2,000 towards the £5,000 cost of the original plans prepared for the City by Land Use Consultants. There was a public consultation in the summer and autumn of 2009 which showed support for the scheme. Since then progress has been slow, and the plans have been amended to save costs, but Planning Permission has now been granted by Brent council. The next challenge will be to fund phases 2 and 3 of the scheme. Alison Moulding is now taking the lead on this project, supported by QPARA as a whole. 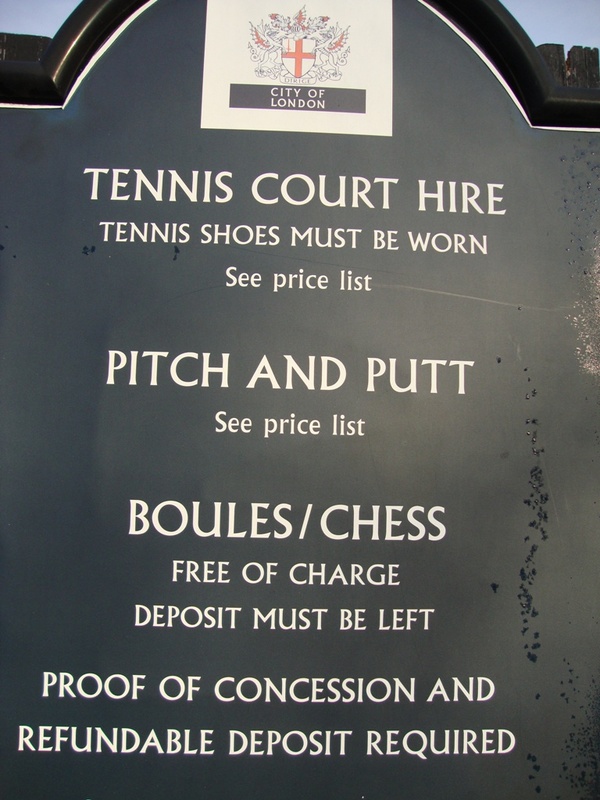 Booking for tennis is at the hut by the entrance to the courts. QPARA supports this system as it favours locals and avoids the problem of players not turning up for booked slots. The pitch and putt equipment is also obtained from the hut. Table tennis was a new sport in 2010 thanks to the “Ping London” scheme in summer 2010 – the brainchild of a local resident – which saw outdoor table tennis tables pop up across the capital. 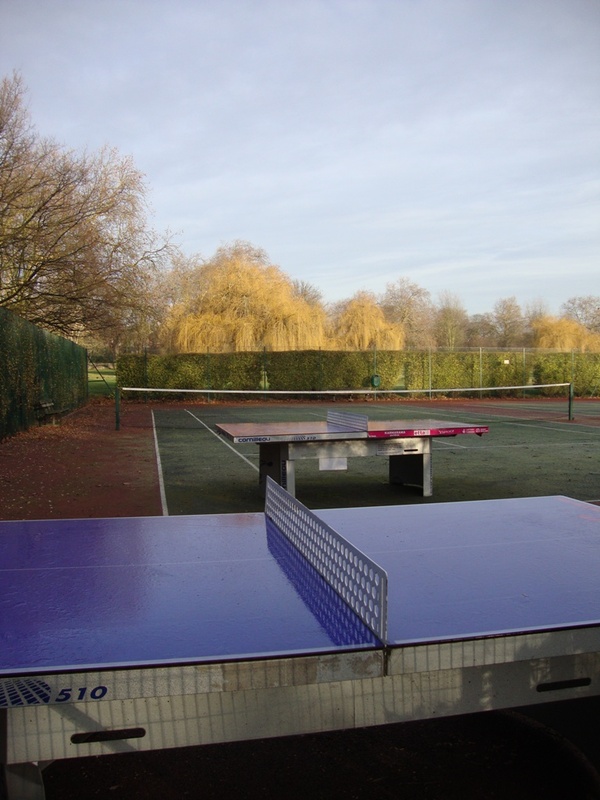 It proved so popular in the park that the scheme provided two permanent table tennis tables. In the summer these are on the concrete base on the grass to the south of the tennis courts, and in the winter on court 6. 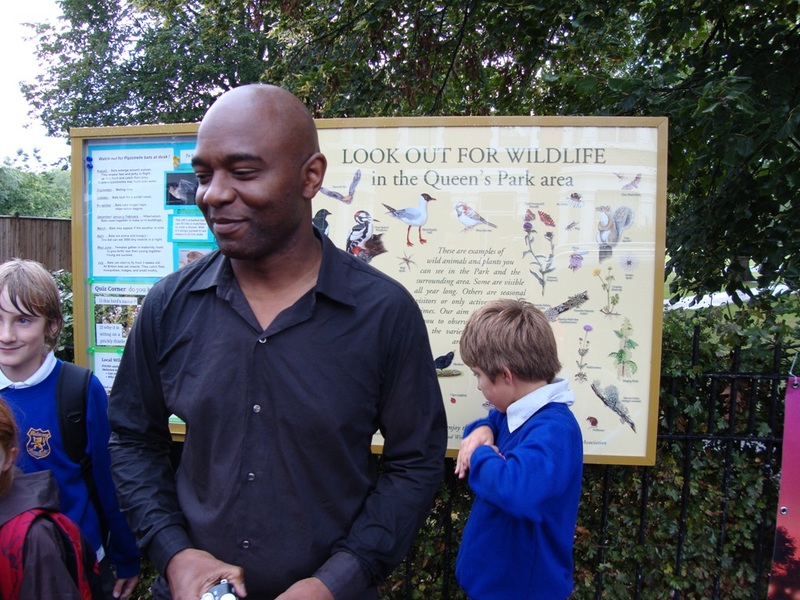 Find out more on the Wildlife Noticeboard installed by QPARA with Brent funding in 2010 on Kingswood Avenue. It’s regularly updated. 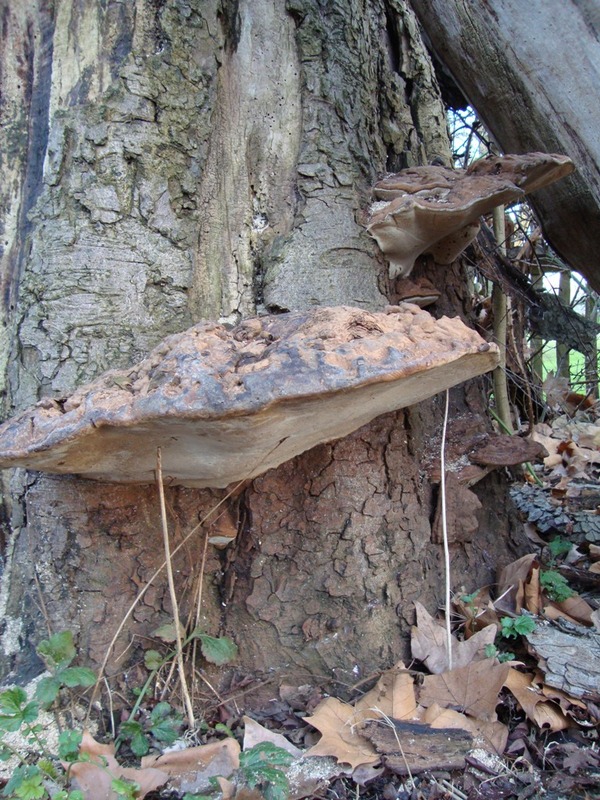 Various steps have been taken to increase the biodiversity of the park. These include leaving longer grass in the pitch and putt area which has benefitted birds (especially sparrows) butterflies and other insects (including dragonflies). 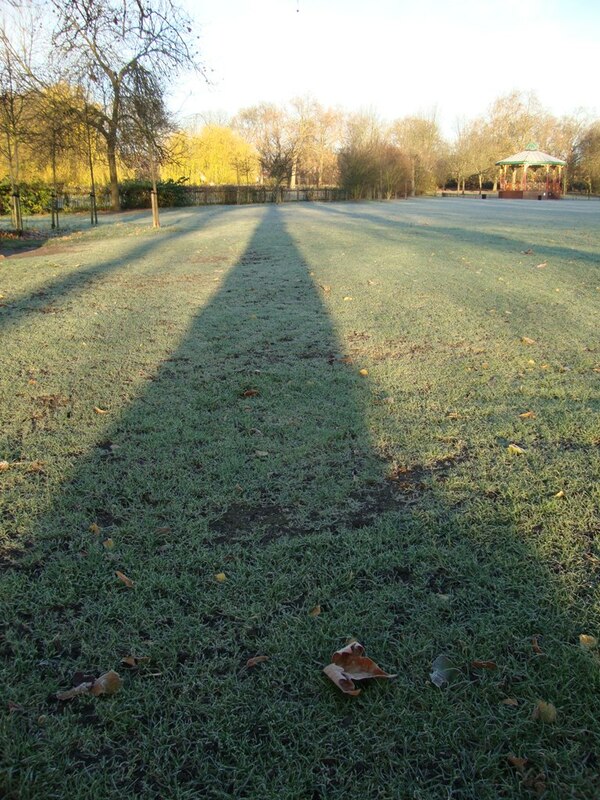 The Sports Turf Research Group were favourably impressed by this in 2008. Growing wildflowers on the bunds (raised mounds) on the main fields has also encouraged insects and birds. This began in 2008 as part of a PHD project by a Sheffield university postgraduate student, using different seed mixes and with different mowing regimes on the bunds. 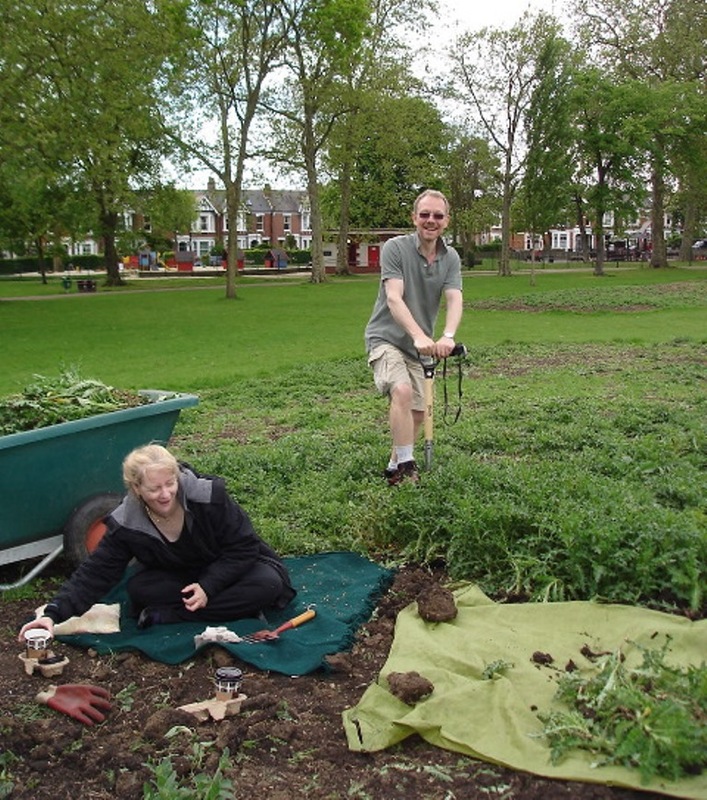 There were many problems with broad-leaved weeds (docks, thistles and mustards) and various remedies were applied, including occasional mowing, re-seeding and volunteer weeding by QPARA. Where it is safe to do so dead trees are left standing as woodpeckers like to make their nests in them and they support a lot of insects too. 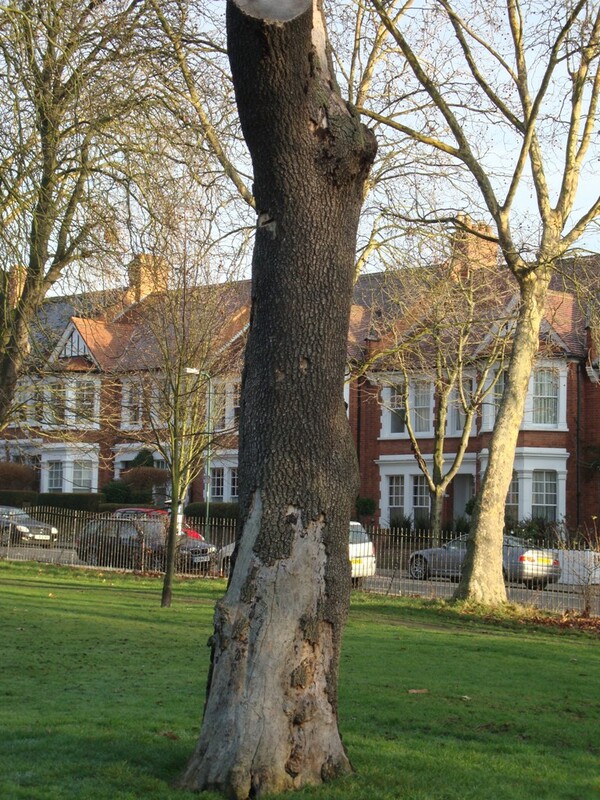 A City Tree Team regularly inspects all the park trees and makes recommendations for removal or pruning where necessary. 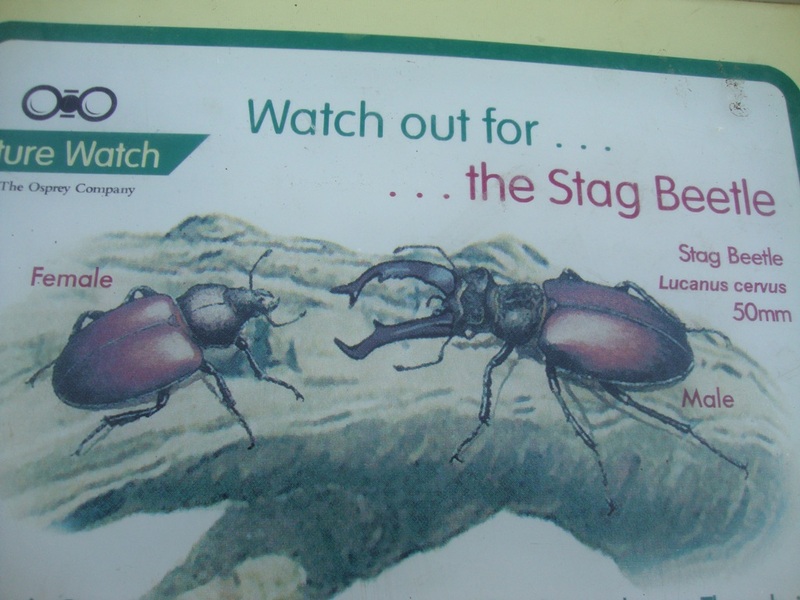 The woodland walk includes areas of dead wood for insect habitat, particularly stag beetles which are rare, but have been seen in the park and the surrounding area. 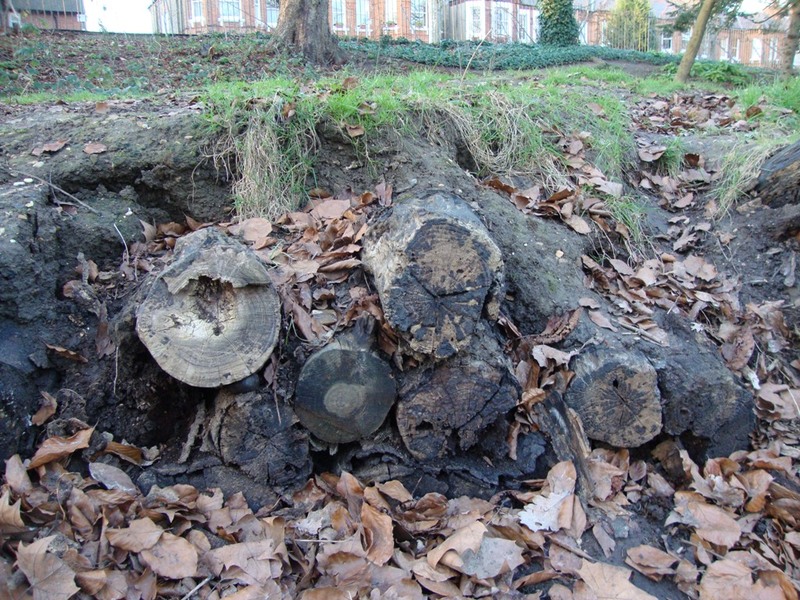 There are now 2 beehives in the park which are looked after by a local beekeeper. There was a popular stall at Queen’s Park Day in 2011 where people could find out more and sample local honey. This was another new project in 2010. 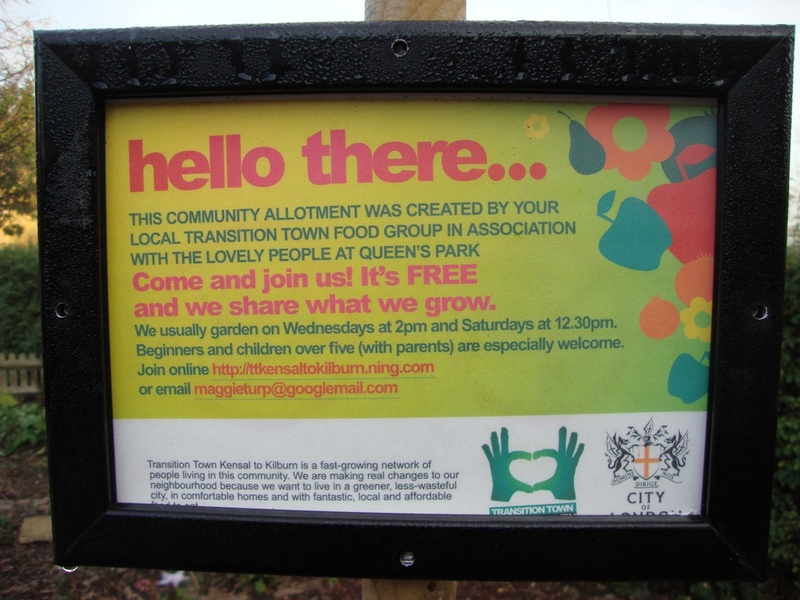 Members of another local group, Transition Kensal to Kilburn, now grow vegetables and herbs in the triangular bed behind the cafe and in two raised beds just inside the pitch and putt. The removal of the privet hedge in between these two areas in early 2012 has been fantastic as the growing area is bigger and visible from behind the cafe. 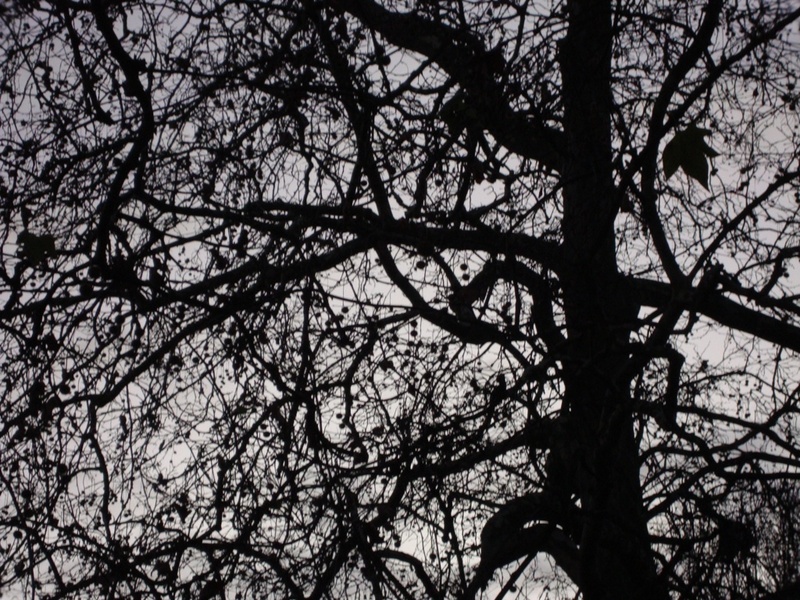 A grant from Capital Growth will be used to buy fruit trees. 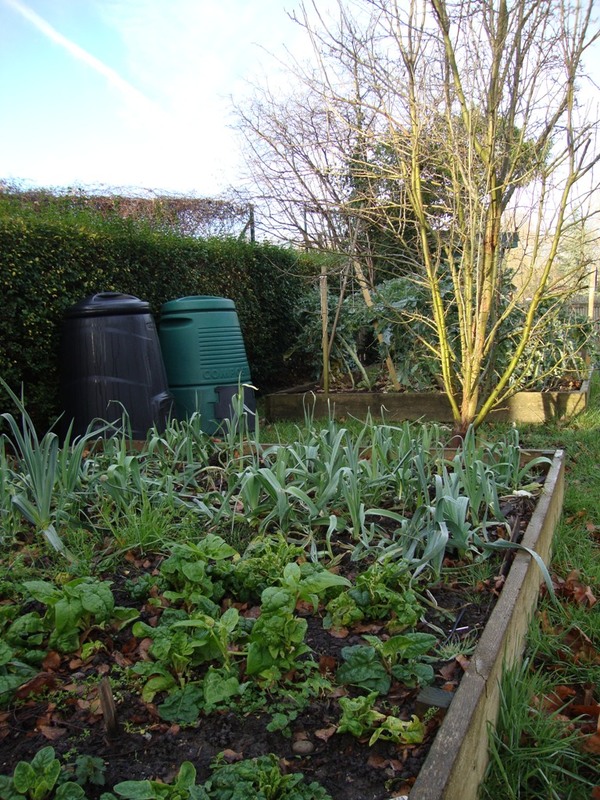 Composting is taking place as well as rainwater collection from the cafe roof. When major works were done a few years ago to improve the drainage of the main fields in the park rainwater holding tanks were also installed at the south end of the park. This was to prevent large amounts of water being discharged into the Harvist Road street drains – you may remember the various Harvist Road floods which used to be a fairly regular local feature after heavy rain. 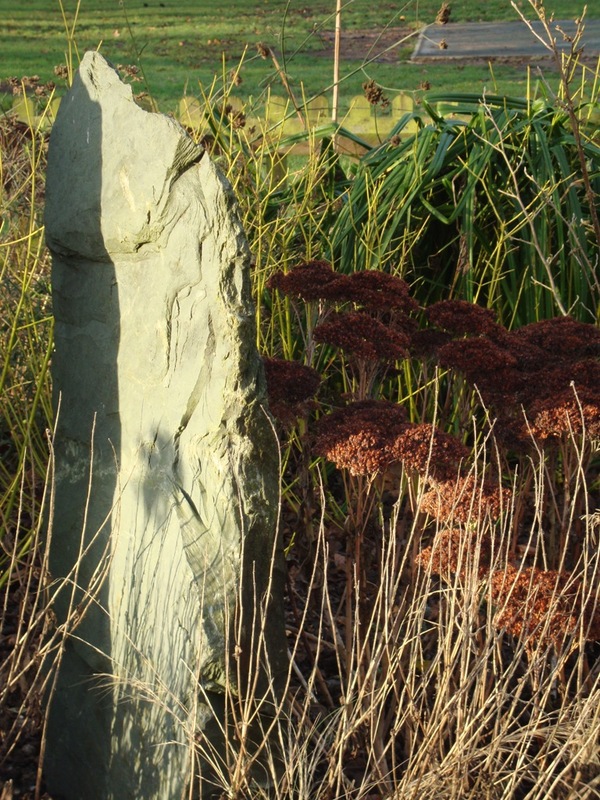 In 2008 the necessary pipes and pumps and 72 pop-up sprinklers were installed so that this stored rainwater could be used to water the Quiet Garden. An estimated [ ] litres of metered water per year are saved in this way which is excellent. 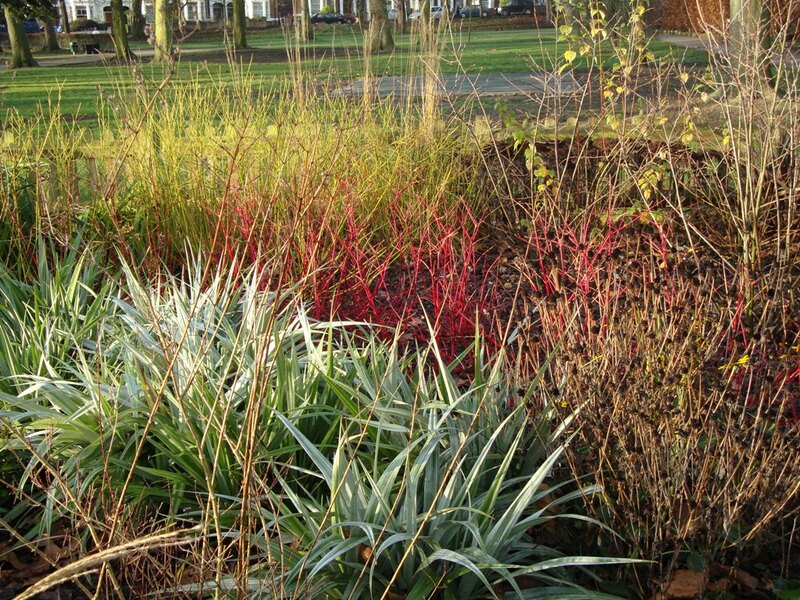 When the park was awarded the Green Flag Award in 2009 it also received a Special Innovation Award for Sustainability for this rainwater re-use scheme. 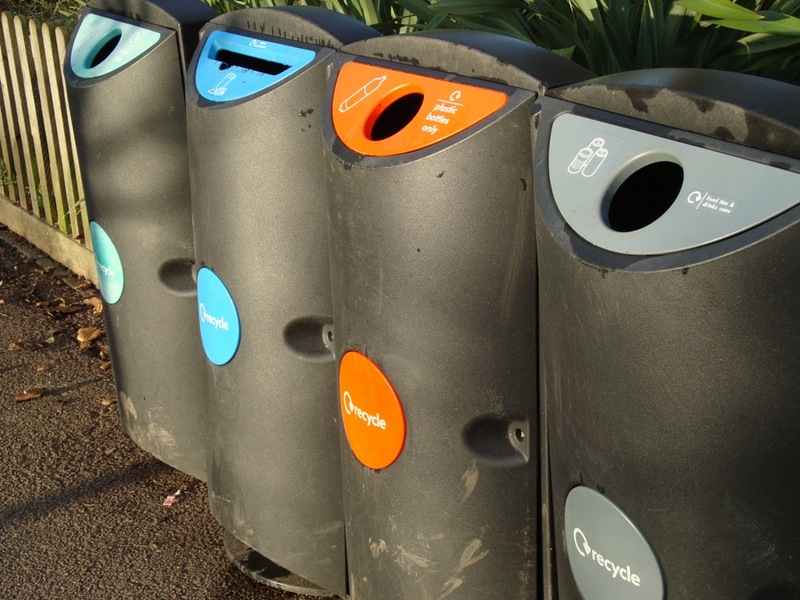 These bins have reduced the amount of waste from the park going to landfill. The City carry out a regular Sustainability Audit relating to water, electricity, waste and recycling. 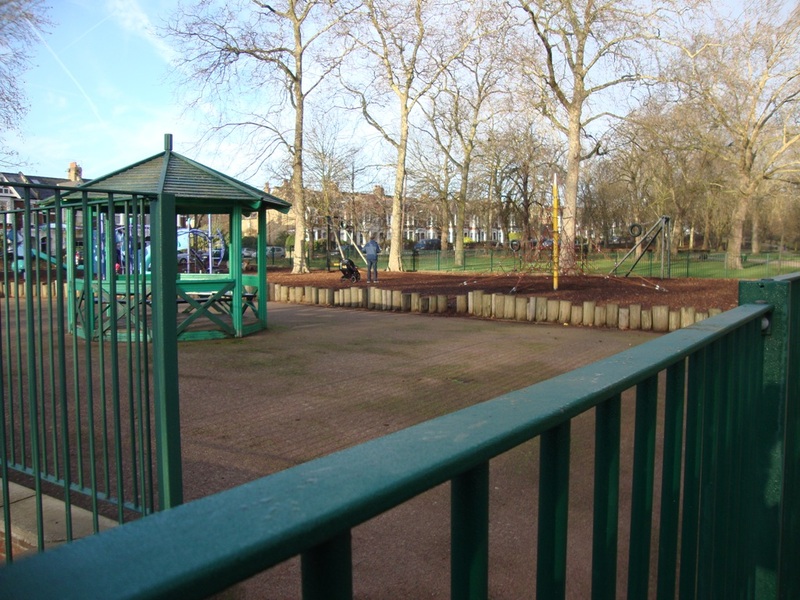 An example of re-use in the park is the sandpit sand. When it’s replaced – all 260 tons of it – it’s used as a top dressing on the main fields as this helps with drainage. 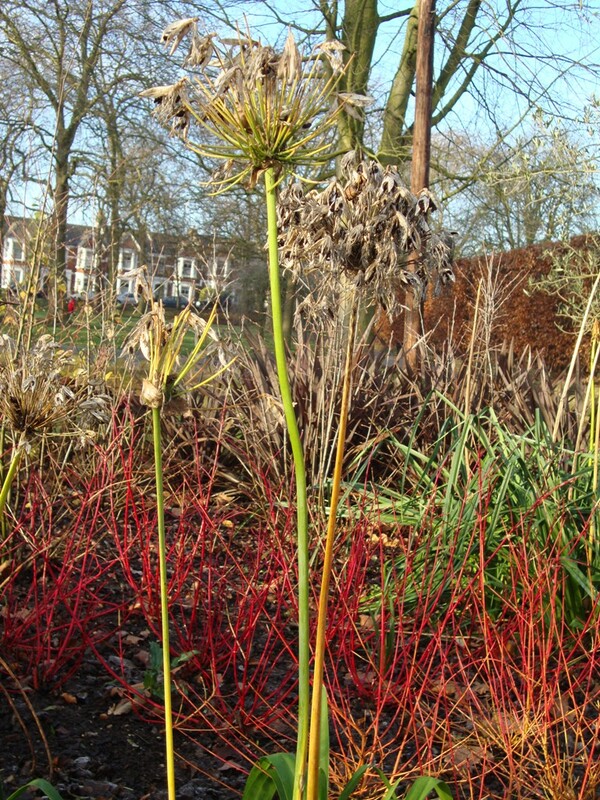 Some areas of bedding (where plants are put in for one season and then replaced) are being changed to permanent planting. 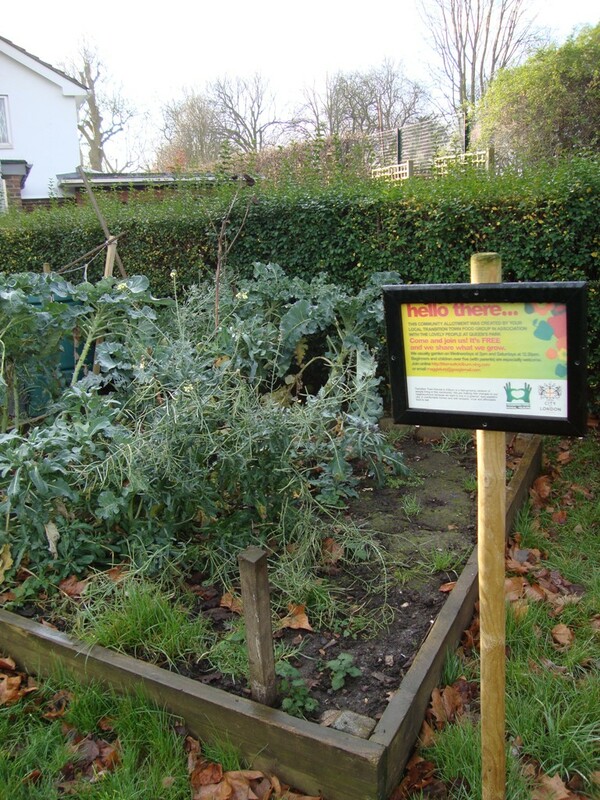 This has worked well at the Harvist Road entrance to the park and is now being introduced in the Quiet Garden. The benefits are labour and therefore cost savings, less resource use in growing short-term plants, and benefits to bees and other insects which feed on nectar as herbaceous plants often suit them better. 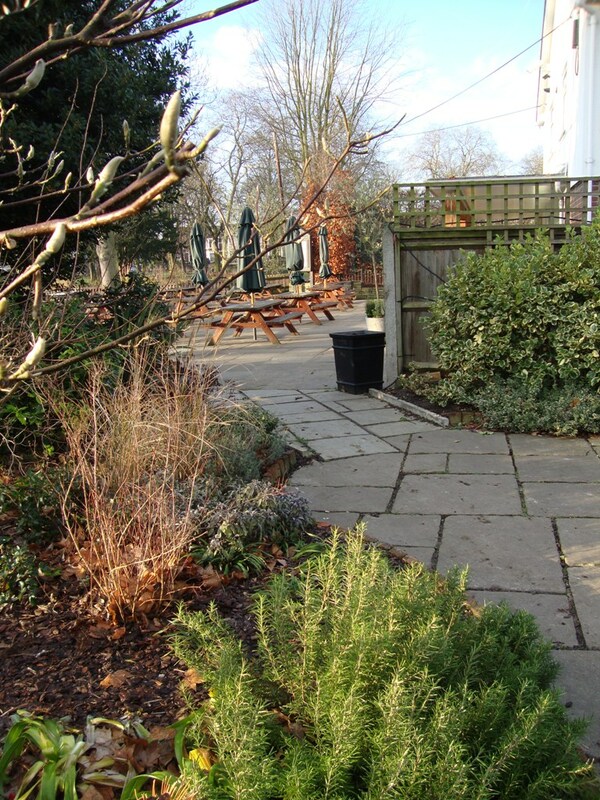 The various planted areas around the cafe have also been re-planted with shrubs and other perennial plants to give year-round interest. 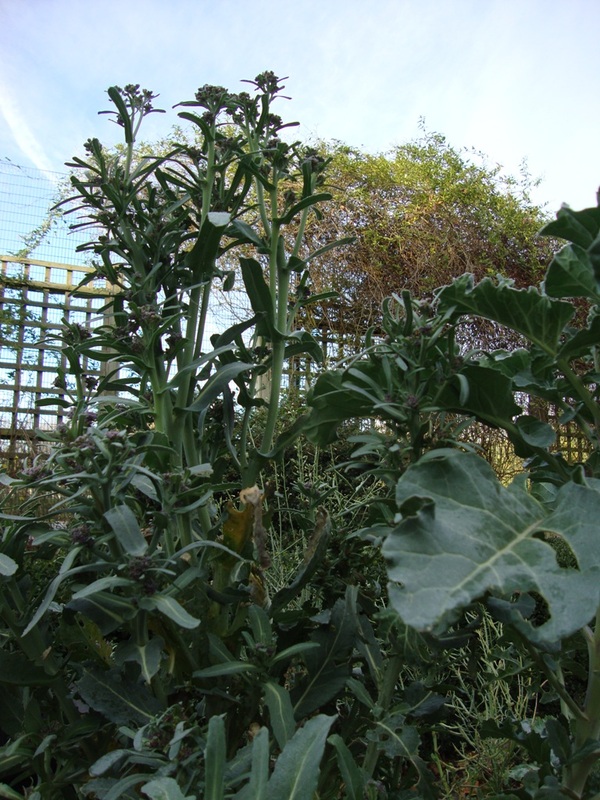 These plants have also been chosen for their drought resistance and their wildlife value.